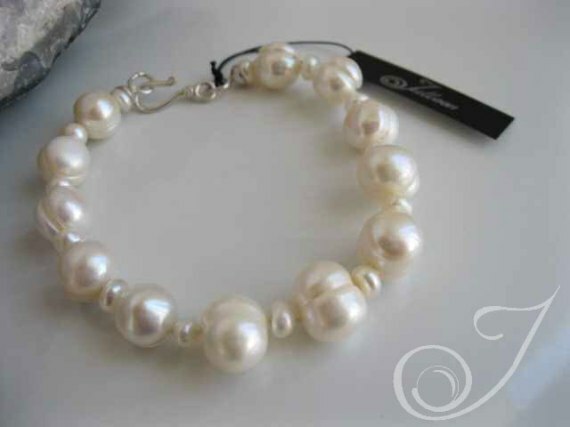 Chunky 11m White Pearl and Baby White Pearl Bracelet. Strung and individually knotted Sterling Silver Endings. Just cos we love her. Princess Grace wearing a plain pearl bracelet at the beach ..and why ever not!